For years, a predicted wave of baby boomer retirements has been expected to destabilize the labor market. So far, that exodus has yet to come to fruition. Data from the Department of Labor shows that adults older than 55 made up nearly half of all the employment gains in 2018. That figure is especially impressive when you consider that baby boomers constituted only a quarter of the labor force last year. Perhaps most surprising, however, is the fact that almost 40 percent of baby boomers are currently working. That’s the largest share of people 55 and older in the workforce since 1961. The numbers don’t lie: Baby boomers are not exiting the workforce the way many people predicted they would. Instead of expecting these professionals to leave, companies should look for enriching ways to help them stay. After all, they are likely the most experienced members of the workforce, and the fact that they are still working is ultimately an asset. As more and more people put off retirement, employers must find new and exciting ways to make sure baby boomer employees feel engaged and valued. Don’t overlook the value and insights many baby boomer employees can offer. Common sense tells us that forcing experienced employees out the door is not smart staffing. These employees also embody the company culture and understand the industry in ways that younger employees don’t, which makes them excellent culture advocates and change agents when companies evolve. 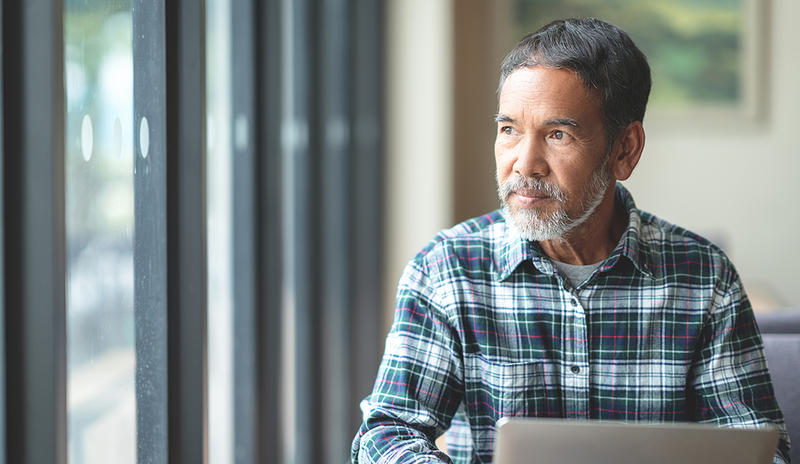 About half of all workers hope for a phased (rather than imposed) retirement, yet only 5 percent of employers offer this option, according to one SHRM survey. Deceleration is a smart, productive strategy for managing boomer employees who might be nearing retirement. Instead of expecting boomers to continue working as they always have in their roles, deceleration offers reduced hours, more flexible scheduling, and lighter workloads. The employee is able to balance work and pseudo-retirement life, and the company continues to benefit from the employee’s knowledge, productivity, and experience. It’s a win-win. No matter how your company works with its baby boomer employees, the first thing to do is make sure they feel valued and appreciated. Failure to keep baby boomers engaged can lead to lower productivity, and high enough levels of disengagement may even cause baby boomer employees to leave the company. Before you can move baby boomers into new roles, you need to understand where their skills lie. If you haven’t yet, take time to identify competency frameworks by outlining the core competencies needed for each job in your organization. These frameworks help illustrate what kind of skills current employees have, as well as which roles rely on those complementary skill sets. When it comes time for an employee to transition roles or decelerate, these frameworks will help ensure the employee stays engaged, productive, and valuable. Don’t presume to know what employees want out of their careers at various life stages. Some baby boomer employees at your company might want to work fewer hours, but others might prefer to have the same number of hours with more flexible scheduling. Companies won’t know how employees prefer to decelerate until they ask each individual explicitly. After that, both parties can negotiate to find a mutually beneficial solution. Like any employee, baby boomers are typically happier to work with companies that respect their time and value. Baby boomer employees have a wealth of experience, expertise, and institutional knowledge that can be lost when they retire. Pairing these employees with newer hires is a great way to keep those insights within the workplace. In order to get the most out of these relationships, first define the purpose of the program. For instance, do you want mentors to groom their replacements or instead teach cross-departmental skills? Try to determine what each baby boomer employee can offer, and pair them with the newer hires who will most benefit from their skills and knowledge. Retirement has become a luxury that most people can’t yet attain, which has kept more employees in the workforce for longer. Don’t make the mistake of writing off the insights, experience, and productivity of these older workers. By helping your baby boomer employees achieve fulfillment in the workplace, you can continue to reap the benefits of employing these seasoned professionals well into the future. Linda Ginac is the chairman, president, and CEO of TalentGuard. Linda Ginac is the chairman, president, and CEO of TalentGuard. Prior to TalentGuard, she founded a successful career development franchise, The Ginac Group, serving clients across the US and Canada since 1999. Prior to this, Linda was vice president of product strategy at Cofiniti, where she was instrumental in pioneering Cofiniti's global entry into collaborative financial planning using cloud-based technology and preparing the company for a successful exit.